Like earlier Civilization games before it, Civilization VI has already gotten an expansion pack. This was last year’s Rise and Fall expansion, while developer Firaxis is now putting the finishing touches on Gathering Storm, another expansion for its 2016 strategy masterpiece. 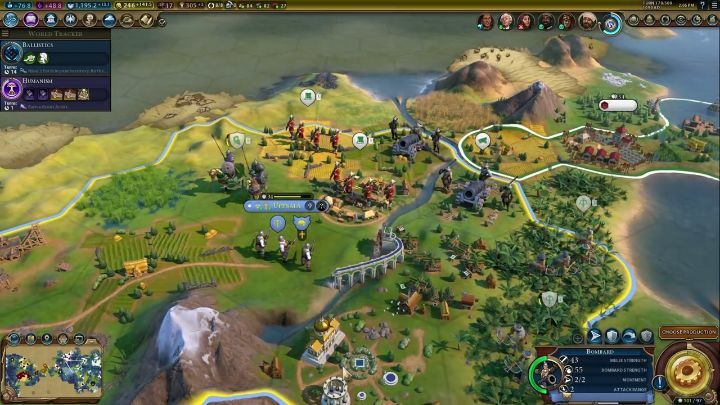 Those fond of Civilization VI’s turn-based strategy have reasons to cheer then, and aside from bringing new features like natural disasters to the game with Gathering Storm (you’ll know have to worry about volcanic eruptions and floods in the game), this upcoming expansion pack for Civilization VI also adds several new civilizations (civs for short) to the game. These include the likes of Canada and Mali, while Firaxis recently revealed that fan-favourite civ the Ottomans will be returning to Civilization in this latest expansion pack. What’s interesting about the Ottomans here is that they will have access to a unique governor, with his own unique abilities and promotions, plus this governor (named Ibrahim in the game) is the only in the game that can be stationed in a foreign city, giving you a diplomatic advantage when playing as the Ottomans in Civilization VI. Of course, like in earlier Civilization games, the Ottomans will have access to the Janissary, a powerful infantry unit which replaces the musketman. It costs less to train and is stronger than Civilization VI’s vanilla musketman, although there’s a catch here – if you train a Janissary in one of your cities it comes at the cost of one population unit as Firaxis explains in the video below. The Ottomans also get a unique naval unit (the Barbary Corsair), letting you bring the war to your enemies at sea too, making it clear the Ottomans are not a civ to be trifled with in Civilization VI. And this definitely looks like an interesting civ, which can both wage war but also get the upper hand in diplomacy thanks to their unique governor, meaning playing Civilization VI with the new Gathering Storm expansion installed could be a great experience when this comes out next February.